As a child demonstrated superb music and language.She graduated from the Institute of Science G. Caetani of Rome. In 2002 she concluded her educational training at the Free Academy Aldo Bargero di Oriago (VE). enrolled in the College of Nurses of Rome: IPASVI. In addition to teaching, she worked as a professional nurse. Again in 2010 she decided to undertake the study of art therapy by participating in various seminars and she commenced the training in 2013 at the School of Art Therapy "Il Fiore Azzurro". Mother tongue English teacher for Elementary school but also actor and dancer. 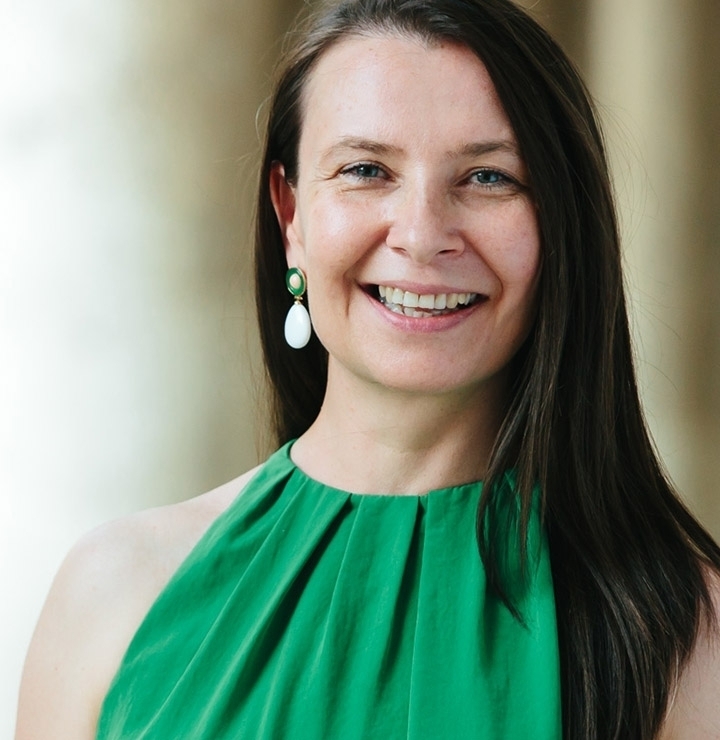 In her work she combines acting and movement with a variety of proven learning methods and she has been working in international schools and theatres in Europe and China. Through this fusion young learners capture quickly the new language. We all grow up listening to stories, singing and playing games, pretending to be a pirate or princess, repeating the same words again and again. “ Why shouldn’t we try the same in a second language?” This is how Barbara Wajs developed her teaching method, using stories and movement which actively involves pupils in learning and which stimulates them. 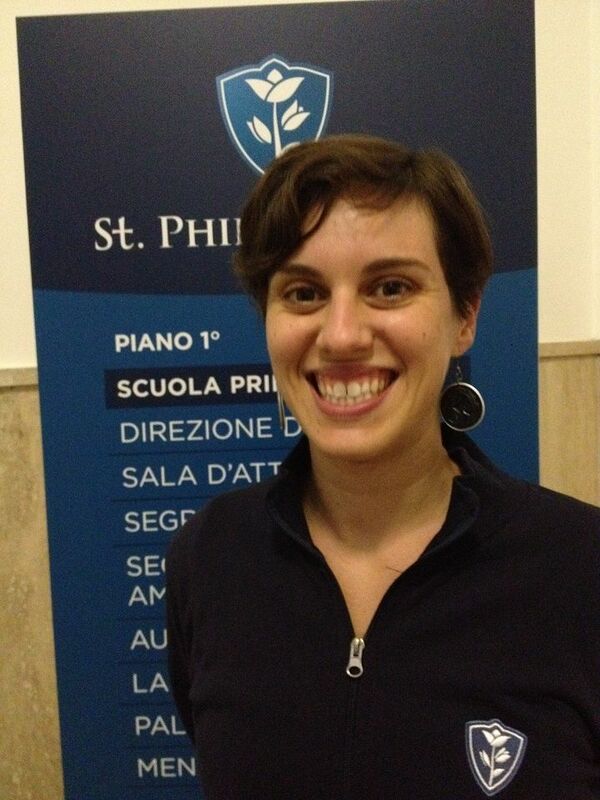 She’s been working in Rome for many years in different schools like the Waldorf School, Montessori, Marymount, Sacro Cuore and the British Council, being part in international cultural events. After obtaining a degree in Education at the Ponticifia Salesiana University he becomes a memebr of the “Commission for the writing of Childen Rights” established from the local government. Afterwards he started teaching at the “Arcobaleno” Primary School, a school based on Rudol Steiner's pedagogic methods, becoming the above-stated School Coordinator. 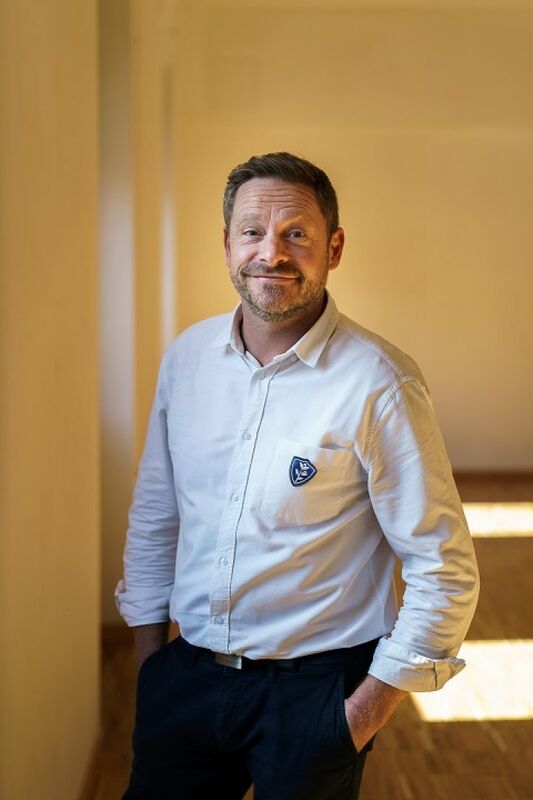 After attending a course in “Functional Psychomotility” he conducted pedagogic activities at the Loic Francis For the Stenier Pedagogics and Sociotherapy Association. Convinced of the pedagogical worth that art and manual work have he co-founded the Maxima Pedagogical Association, a place where children did various handcrats and manual activities. He taught at the Sant'Ivo Institute Primary School. “Each child'sworld starts over the story of the world”, this is the main thought that has always enlightened his pedagogical work. Daughter of a Primary School teacher, she grew up in a bilingual environment, with an english father and a polish mother. She has had a knack for language and dance since she was child. Following her mother footsteps she worked has a primary teacher in Liverpool obtaining a specialization in “Special needs” teaching. She moved to Spain in 2010 and in the same year she obtained the T.E.F.L. certificate from the Cambridge University. In Spain she worked for the University of Santiago de Compostela as English tutor, training students for the official Cambridge exams. She has been living in Italy since 2015. After earning a Diploma at the Istituto Magistrale "Giosué Carducci" of Rome in 1991, she immediately begins to teach as a primary substitute teacher in several institutes of Rome, while going on with her studies by attending the “Accademia di Belle Arti” in Rome, where she graduated in Painting in 1996. She works as a substitute teacher at the state school until the year 2001, and then decides to complete her teaching studies with the three-year training in Waldorf pedagogy at the school "Il Giardino Dei Cedri" in Rome, where she earns a diploma and does an internship in different classes for two years. 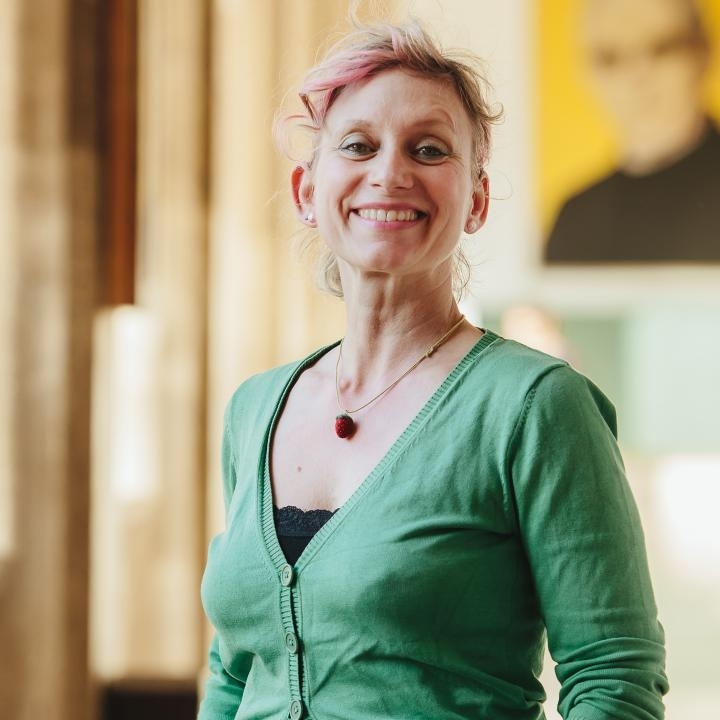 Since 2004 she collaborates with “Steiner” associations and schools for the teaching of painting, organizes laboratories of pictorial and plastic arts and manual activities. In the year 2006/2007 she collaborates to “Arthmos” project, financed by the Municipality of Rome, as painting teacher, working at 10 state primary and secondary schools selected by the Municipality of Rome, considered as schools with special cultural and social integration problems, obtaining, through art, extraordinary results. Later she works as a primary school teacher at “San Benedetto Institute” of Pomezia and collaborates as a substitute teacher at several schools, while she widens her knowledge in pedagogy (“libertaria”) by attending courses on the new experiments of “Scuola nel Bosco” in Italy and in Europe. She is appointed teacher by St Philip School in 2014 but she renounces, despite her wishes, for family reasons, postponing the task temporarily. Over the years she carries out, parallel to the didactic activity, the work of painter bringing forward an autonomous research on color in its nature, preferring the watercolor as creative tool. English teacher certified by Trinity College London (CertTESOL diploma) specialized in Teaching English to Young Learners (TYL certificate). Following in the footsteps of her mother who had an active role in many youth projects, Tatiana developed a particular talent for interacting with children. She has worked with children in various educational contexts, including classic and folk dance. Native English and Russian speaker, at the age of 20 she started teaching English to children aged 3 to 10 at the School of Foreign Languages in Changchun (China). During that time, she also acquired several additional qualifications, such as a degree in Management Sciences (in the field of communication) and later on a diploma from the Institute of High Fashion Marangoni in Milan (where she studied art and fashion design). She fluently speaks Italian, Chinese and German. Since 2015, Tatiana has been working in Rome. She taught at LUISS Guido Carli University and at several schools including Vincenzo Cardarelli School, Liceo Classico “Benedetto da Norcia, Istituto d'Istruzione Superiore Cine­tv “Roberto Rossellini, Istituto comprensivo Padre Semeria. She continues to refine her educational techniques with artistic, musical, and manual approaches thanks to numerous training courses. 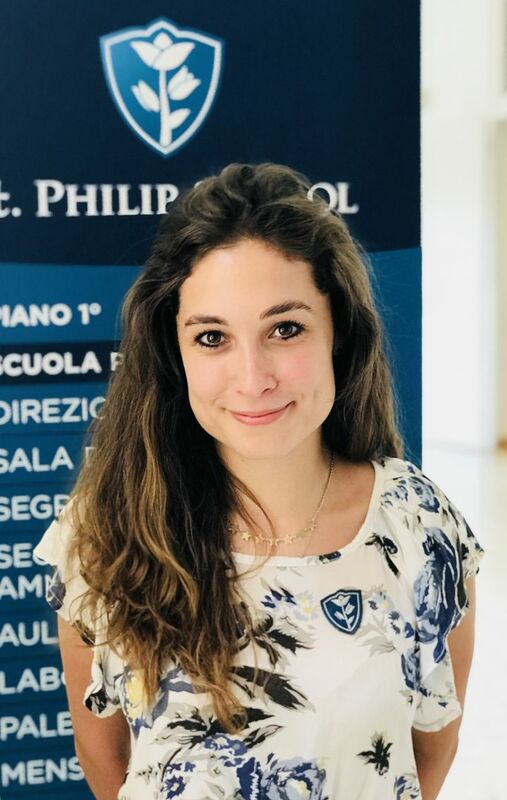 Tiziana is an English teacher, with dual Italian-US citizenship, certified by Cambridge University England (CELTA - Certificate in Teaching English to Adults and CELTYL - Certificate in Teaching English to Young Learners). Tiziana grew up in a multi-cultural family environment with passion for art, studying opera, ballet and acting. As a child, she moved with her family to various locations abroad, where she developed a strong interest in foreign languages at a young age. Tiziana moved to San Diego, California, where she studied and worked exclusively in English, for a decade. There, she attended the San Diego City College (SDCC). 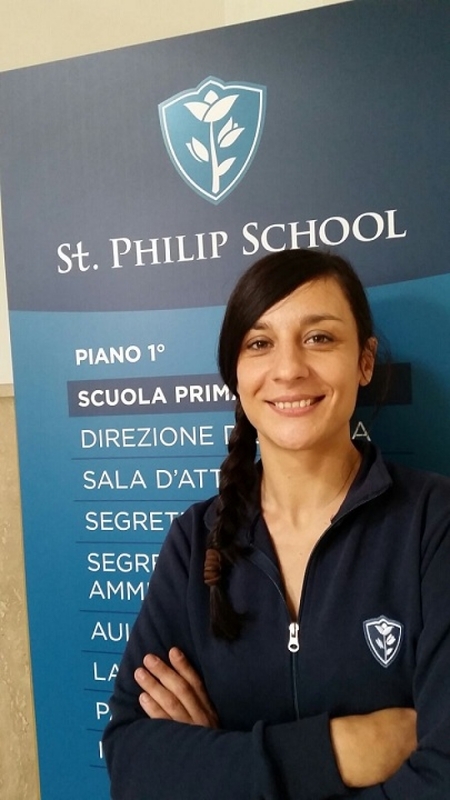 Since 2010, Tiziana has been working in Rome teaching English as a foreign language to children, teenagers and adults in several school such as Highlands Institute, Nazareth Institute, La Maisonnette. She was very happy to join the St. Philip community in 2018. 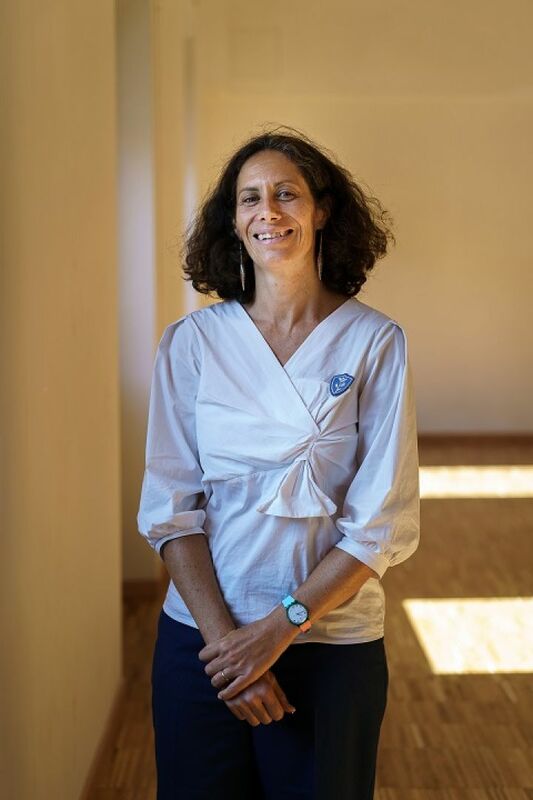 With a passion for teaching since ever, she obtained a master's degree in Primary Education Sciences and then attended a three-year course in Steiner Pedagogy at the Free School "Janua" in Rome. She has always tried to combine her two great passions: the search for authentic relationships with children and the theater work. After the Diploma obtained at the Civic Theatrical School Paolo Grassi of Milan and the course for cultural and theatrical animator, in Bologna, she worked in the theater writing shows for children and adults. 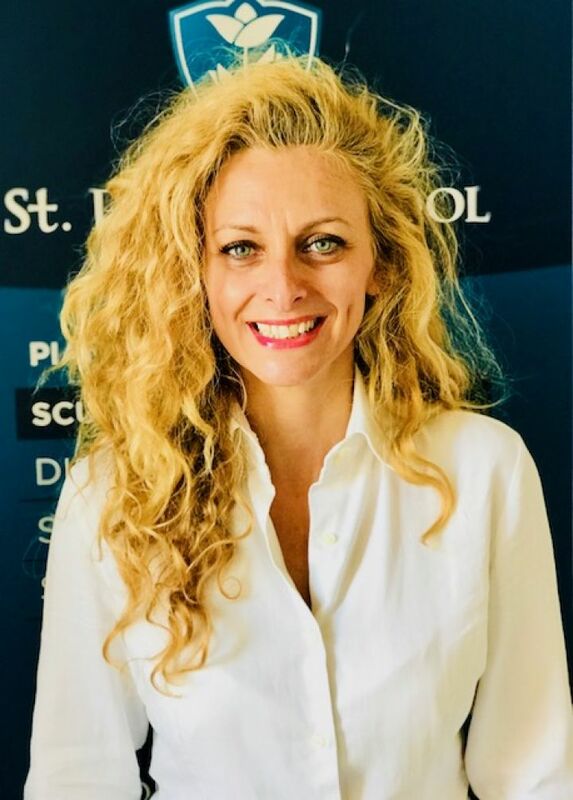 She has worked as a teacher and as a conductor of theater workshops in various public and private primary and childhood schools, in Rome and Milan; she have had the chance to experience that the educational relationship is a continuous exchange. Born in London, England, mother tongue English teacher, with an extensive experience teaching English as a foreign language to children, teenagers and adults. 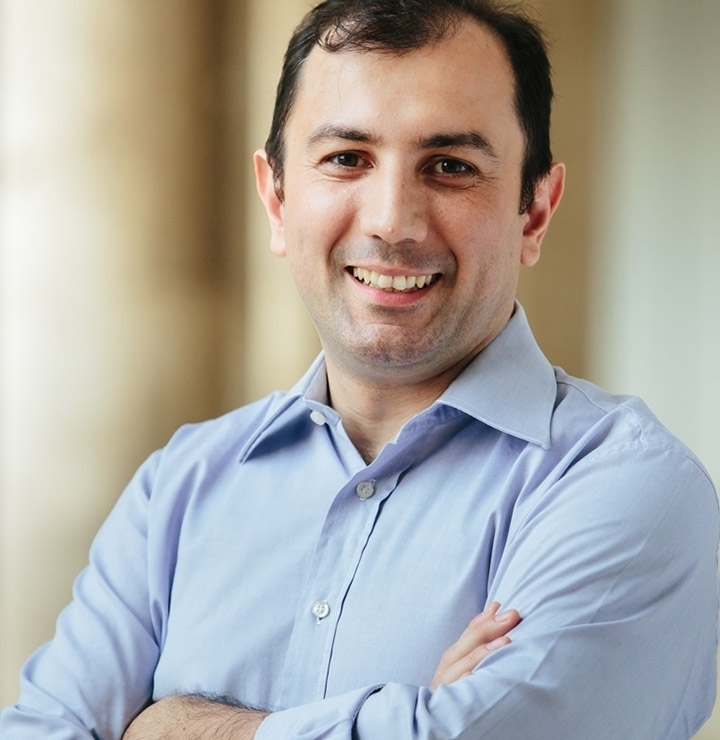 He obtained his TEFL certificate (teaching English as foreign language) in London and then began teaching English to students from various countries, cultures and backgrounds before continuing to teach foreign students at a private Language School on the South Coast of England. Patient and goal-orientated he loves teaching and lives his job as a mission. He has been living in Italy for three years where he kept teaching preparing children for Cambridge exams. Born in Edinburgh, Scotland, Lauren is a mother tongue English teacher who has always had a keen interest in languages and teaching. She graduated from the The University of Strathclyde in Glasgow with a BA Hons in Languages and Literature in 2014 and decided to pursue her dream of living in Italy. 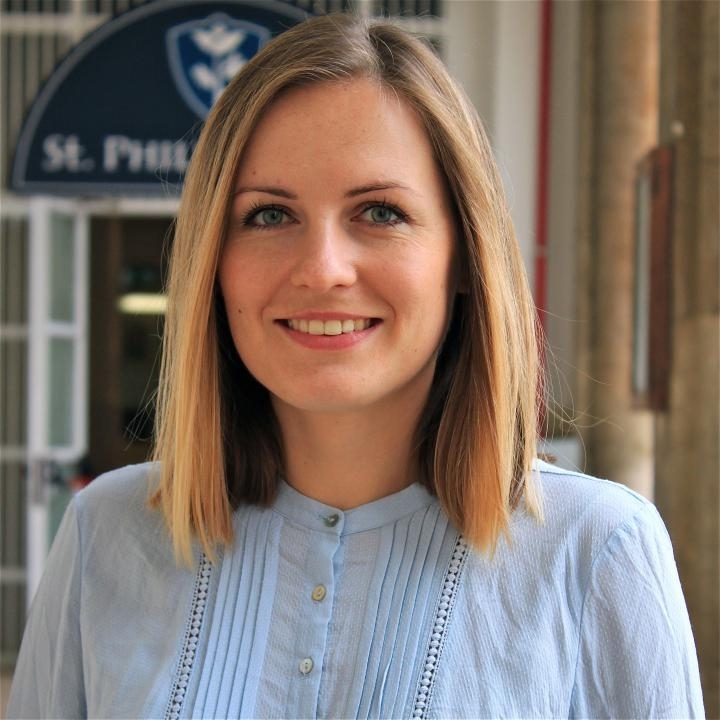 After obtaining a CELTA ( Certificate in English Language Teaching to Adults) here in Rome in 2015, she immediately found a job in a private English language school teaching English to children, teenagers and adults. During this time she also gained a wealth of experience in preparing students for a range of Cambridge exams. Lauren has been teaching English to children, which she describes as her passion, through a range of activities, music and games for over three years now. She has also worked at various English summer camps in Italy and Scotland. A native English speaker from the United States, Kate studied languages at the University of California at Riverside before becoming a teacher. 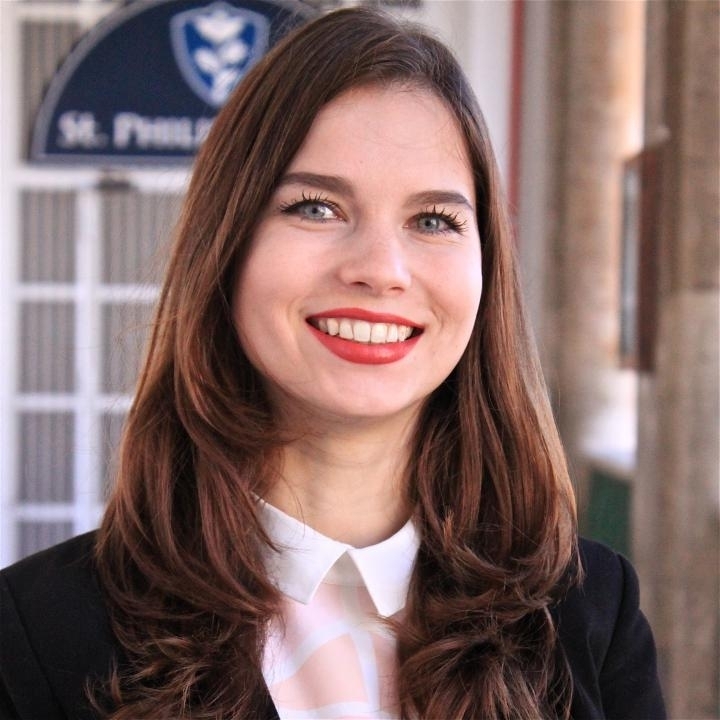 A dual Italian-American citizen, Kate worked for the Cambridge School of Bucharest teaching kindergarten, for the United States Peace Corps in Benin as a TEFL high school teacher, and in a private primary school in San Diego, California. Kate speaks English, Spanish, and French. Her father was a professor and her mother an elementary teacher, and she grew up watching interactive lesson plans and how to effectively instruct each student. She also has a degree in Sociology and Native American Studies. She has been living in Italy since 2018. University in Studi Teatrali. Subito dopo consegue il TEFL (certificato di abilitazione all’insegnamento della lingua inglese) ed inizia a lavorare come insegnante con bambini ed adulti in Brasile, in Spagna e in Italia, utilizzando come strumento pedagogico l'arte, la drammatizzazione la musica e il movimento corporeo. Appassionata di teatro e di arte, lei stessa attrice, crede fortemente nel valore pedagico dell’arte, pertanto ne fa un elemento fondamentale del suo lavoro con i bambini, per infondere loro fiducia, per realizzare lavori di squadra, comprensione efficace della lingua e curare l'aspetto emotiva e stimolare la creatività. Trained at the School of the Art Therapy "Fiore Azzurro " with successive years of renovation and Master in Art Therapy at the University of Roma Tre. 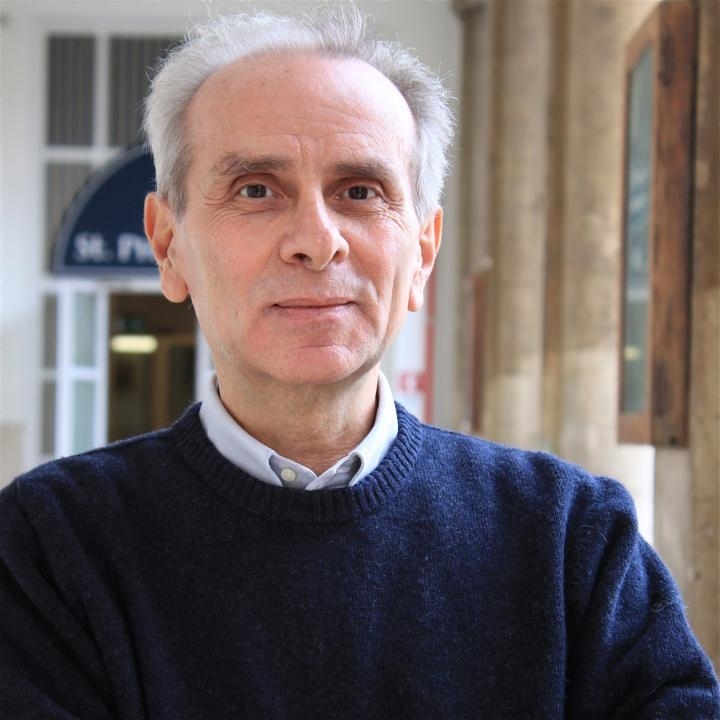 He graduated in modern literature to address art at the University of Salerno. Cellist trained at Rowan University in the USA (NJ) and graduated from the Conservatory of Santa Cecilia in Rome. Supervisor for the technical area, artetertapeuta and teacher ART.ED.O (Polo Mediterraneo delle Arti Terapie e delle Discipline Olistiche). Professor of music therapy at the " Fiore Azzurro". He works as an art therapist, music therapist and professor of cello at the School and the Institute Janua S. Ivo, both in Rome, and the Centro Studi Kairòs of Lido di Ostia. Since she was a child she has shown strong attitudes for sports activities and theater play. She obtained a high-school diploma at the "Istituto Magistrale Pedagogico/Linguistico" E. Palumbo "in Brindisi in 1999, she choose an artistic curriculum for her university studies and graduated in 2008 in Cultural Heritage with curriculum S.t.a.m.ms. (Science and Technology of Art, Music and Entertainment) at the University of Lecce with a thesis entitled "Theater in schools as an alternative pedagogy". In 2010 she moved to Rome and carried on her studies of theater in the schools and discovered another passion closely related to it, which is the psychomotricity, continuing her training. Since 2014 she has been collaborating with various associations and with kindergarten and primary schools, teaching theater and psychomotor skills. She studied at the "N.Paganini" Conservatory in Genoa, and carried out her activity as a flute player for philharmonic, private and municipal concerts. She also worked for the social services with the National Civil Service at the Cooperativa "Il Sentiero di Arianna" working with children, elderly and disabled people. From then on, she started working for professional education centers for people with disabilities, educational centers, foster care and schools. Her predisposition to work with children, enriched by music, dance, art and theater education, broght her to collaborate with associations, schools and gyms. In 2011 she moved to Rome and collaborated as a theater operator inside some schools with the association "La Gattaturchina". She never left the world of music and dance, and performed musical and artistic activities for children for "PrimaVeraArte". In 2016 she worked with for the capoeiristic association "Cordao De Ouro" as a psychomotor and capoeira teacher for children. She attended several training courses regarding work on body and movement, including Segni Mossi, DanzaMovimentoTerapia, and BodyPercussion. She has also been performing set design activities for childhood plays for several years. She graduated at the I.U.S. (Higher Institute of Motor Science) in Rome in 2003. After that, driven by the passion for circus arts, she decided to attend the circus school "Carampa" in Madrid (2003-2004), the circus school "Rogelio Rivel" in Barcelona (2004-2005) where she attended the specialization courses in: theater, dance, acrobatics and verticals and in the circus school "Theater Cirqule" in Geneva (2005-2006), where she continued to study theater and dance and specialize in the vertical technique by starting a research work . At this point she learnt “acro-portes” (hand-hand) at the circus school "Zofy" of Sion from 2006 to 2010. Since 2006 she has been creating and performing various shows. Since 2009 she has been organizing Workshop and Stage of vertical and acro-portes.